The U.S. Army just released a chart showing what happens if those automatic budget cuts — known as “sequestration” — actually go into effect on March 1. 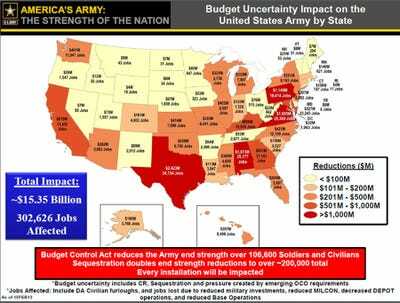 The cuts will affect every Army installation, and by extension, many surrounding communities. According to the document, the total impact of the cuts would be over $15 billion, with over 300,000 jobs affected. Hardest hit are Texas, Alabama, Virginia, Pennsylvania, reports Military Times. 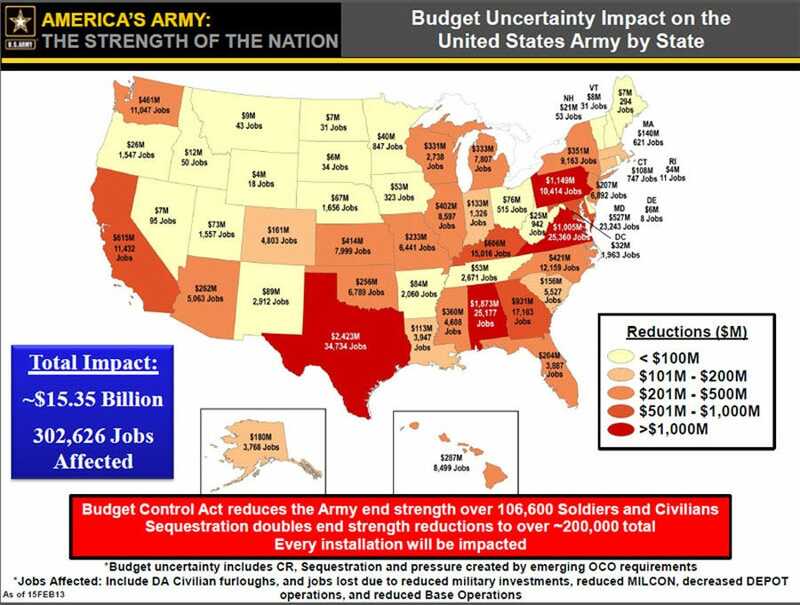 In just those four states, the Army estimates an impact on 95,685 jobs.